Reassurance shield as Interstate 895 begins. Oddly, as of this publication in January 2018, I-895 no longer exists, but it was 895 when I drove it in July of 2017, so we’ll go with that. 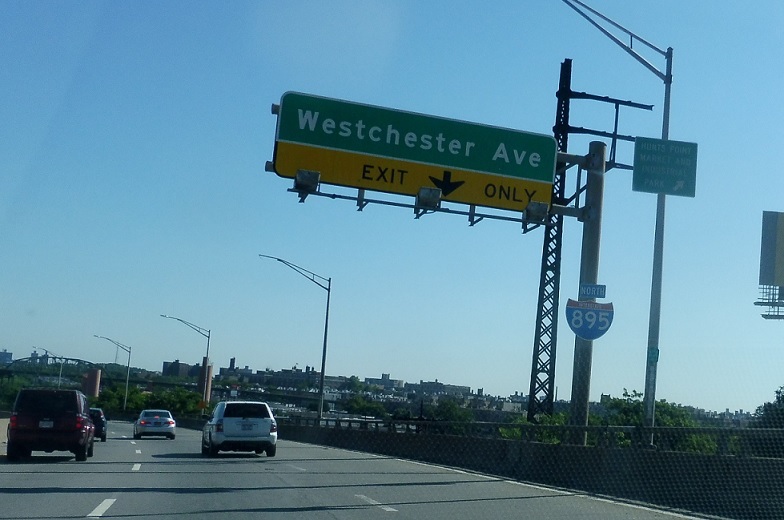 About a mile later, we’ll approach the Cross Bronx/I-95. 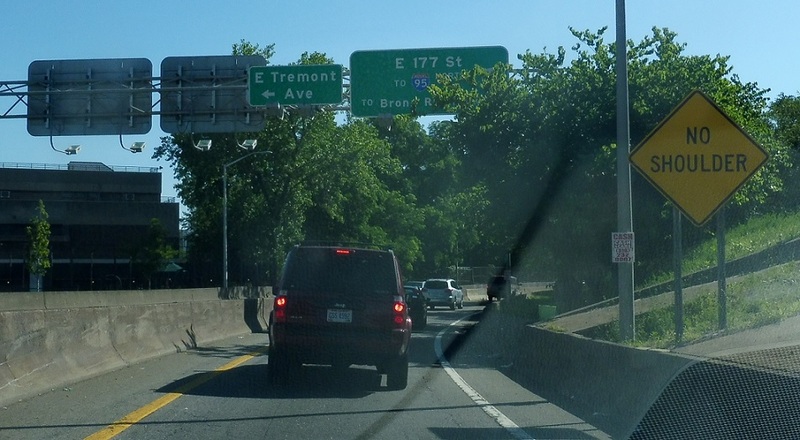 Traffic heading to I-95 north and the Bronx River Parkway should use 177th Street to access those routes. 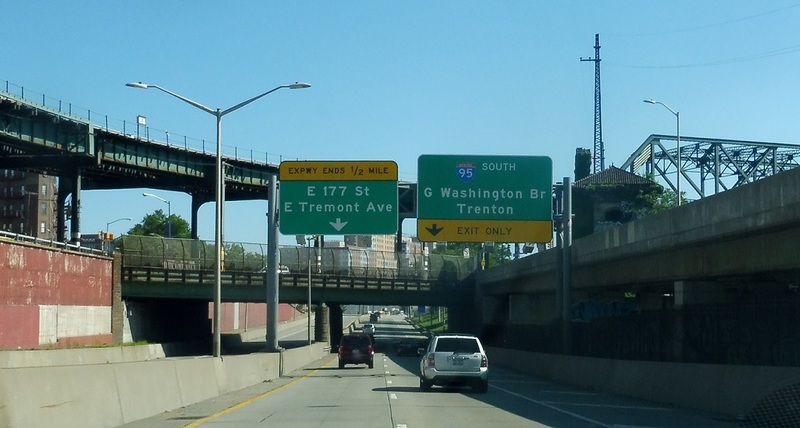 Keep right ahead to merge onto I-95, which connects to the George Washington Bridge. 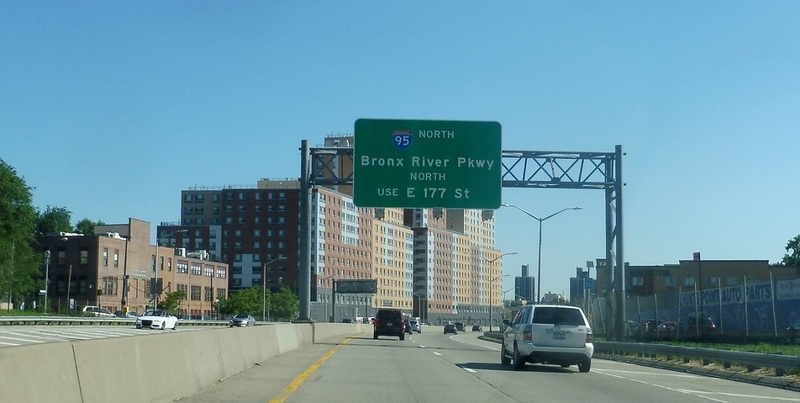 I-895 ends as we approach 177th St, which connects to I-95 north. 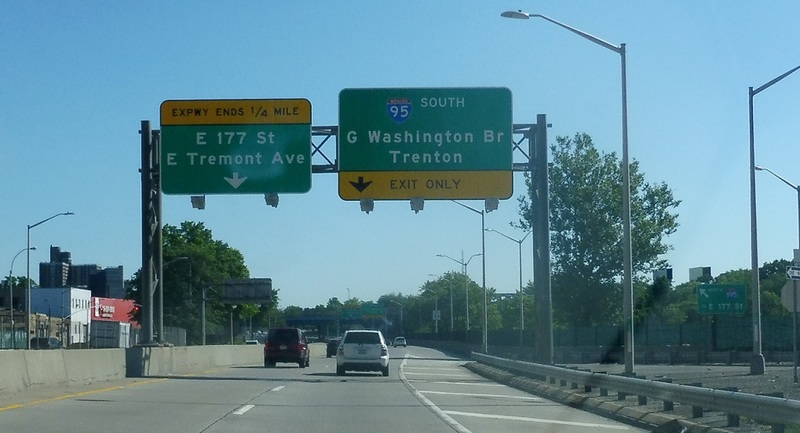 Turn left for East Tremont Street – this was the stretch highlighted in the Robert Caro classic The Power Broker as having been decimated by Robert Moses’s zeal for urban renewal and freeway construction.